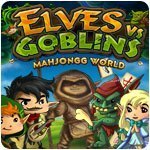 Elves vs Goblins Mahjongg World Game - Download and Play Free Version! 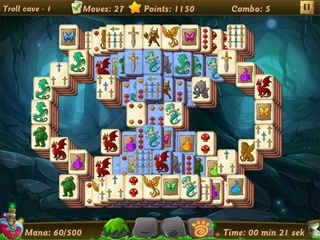 Play an exciting Mahjongg adventure in the land of these lovable but strange creatures! Darkness has covered the whole land of the elves and goblins!Dark wads of smoke pour out from the deep fiery gullet of the volvano at twinkling mountain. 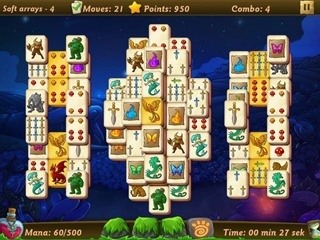 They diffuse across the whole land and along with them come darkness and cruel curses.Play an exciting Mahjongg-adventure in the land of these lovable but strange creatures! Make your way through many challenging and varying level. Master several Hidden Object and mini-games, find extras and hidden level. Will you be able to banish the dark magic and set the inhabitants free from the bad magic spell?